That's awesome. Their brewpub in Tulsa's Brady District is really cool. Another great addition to the core. Awesome! Two breweries within walking distance. OMGGGGG!!! You just made me so happy! I've known about this for a while but was trying to get a more complete story. But yes, that old warehouse on 8th on the east side of the RR tracks was recently sold to local investors and the plan is for Prairie to go in along with another restaurant and some other space. AHMM is pretty far along with the plans and they should be going to design review soon. So clutch! This is my favorite beer! Interestingly, originally Black Mesa was trying to go in that spot but now they are looking elsewhere downtown. 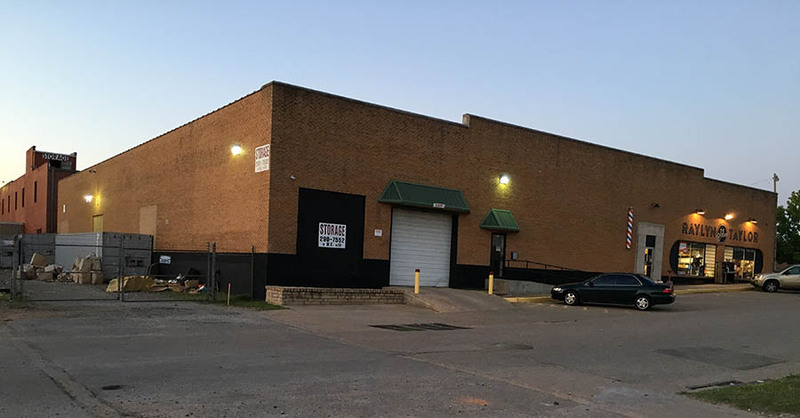 Tulsa-based Prairie Artisan Ales has announced plans to open a brewery and taproom in a new mixed-used conversion project in Automobile Alley. 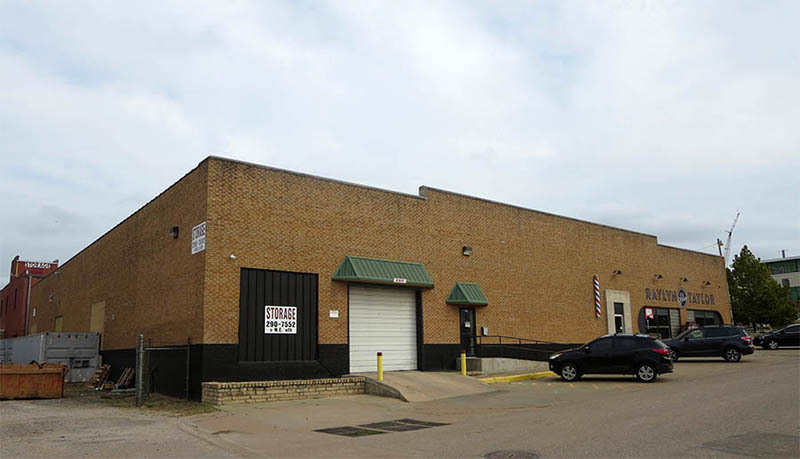 In April, a local group of investors bought the 17,640 square foot warehouse on the northeast corner of NE 8th Street and the railroad tracks for $1.2 million. Developers Brandon Lodge, Cale Coulter, and Patrick Murnan retained London architects AHMM to renovate the structure and soon struck a lease deal with Prairie. Lodge told OKCTalk the project will involve opening up the large structure with a centralized pedestrian corridor that can serve as indoor / outdoor space for the brewery and future tenants. Lodge said they are currently seeking a local restaurant and other tenants. 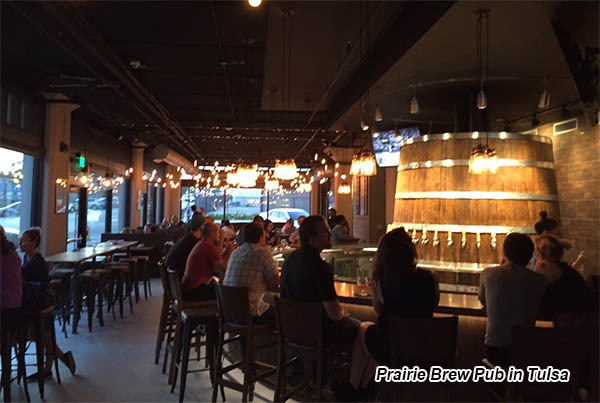 Prairie currently operates a popular brew pub in downtown Tulsa but their operation in Oklahoma City will serve beer but not food and is to occupy 4,000 to 4,500 square feet. Three artists workspaces that will also be housed in the OKC brewery, a free space for Prairie and other community artists. Plans are being finalized and the hope is that renovation will begin before the first of the year with a spring 2017 opening. The project is yet another in the booming east Auto Alley area, which recently saw the opening of downtown's largest apartment complex, the 330-unit Metropolitan. In addition to the several restaurants on NW 9th (Iguana, S&B Burger's, Hillbillies) Twisted Spike brewery and taproom is slated to open later this year on NW 10th and it will also directly front the railroad tracks. The City of Oklahoma City is in the process of implementing a 'quiet zone' which will mean trains will soon no longer need to blow horns as they pass through the area. Other new and newly announced projects in the area are The Yard shipping container project, a new location for Organic Squeeze and the renovation of a warehouse on 8th just to the west of the Prairie project. AHMM recently established an office in Oklahoma City and local projects include The Plow, Level, Mosaic, OKSea, and the Hart Building, among others. Pete - do you think they might add food here someday to make it a brewpub like in Tulsa? I wish I liked their beer. No, I think the plan is to lure a local restaurant to be the companion food provider. What all have you tried? It's my favorite Oklahlman beer. I like some of their beer, but it is a bit on the pricey side for me. If the taproom is a little less expensive, I'll definitely check out more of their selection. It's without a doubt the most popular. It's been really cool to see Prairie gain a national and international following. OKLAHOMA CITY – Prairie Artisan Ales will be part of the renovated 3 NE Eighth St. building. Orison Partners’ Cale Coulter and Patrick Murnan, with Lap 7 developer Brandon Lodge, are bringing new life to the old warehouse building. The 17,640-square-foot building was constructed in 1946. Lodge said he put the building under contract, and then brought on Coulter and Murnan. Lodge said he was inspired by the other renovation work in downtown. The redevelopment is being shaped around Prairie’s needs. Raylyn Taylor Salon is staying in the building. Murnan said there will be about 10,000 square feet of leasable space still available. Prairie Artisan Ales Sales Director Wes Morrison said the company will not serve food at its new place like it does at the brewpub in Tulsa. It will have a taproom. He said the brewery would like to be open in time for the Oklahoma City Memorial Marathon, which is scheduled for April 30. Murnan said construction on the renovation will start in October, if the renovation is approved by the Downtown Design Review Committee. Architect Wade Scaramucci with Allford Hall Monaghan Morris will design the renovation. “We’re going to spend more renovating the building than it took to buy it,” Murnan said. The building sold in April for $1.2 million. He said it’s going to be different than anything else in Oklahoma City. Plans call for a 20- to 24-foot street-like area to be cut through the building, which can be opened when the weather is good. Lodge said the team wanted to create a place where they would like to hang out in downtown. He said he wants to create a district within a district, like NW Ninth Street is to Automobile Alley, which is why Prairie was important. Morrison said the company has been working on an Oklahoma City place for the last eight months. But the plan may not have moved forward without Gov. Mary Fallin signing Senate Bill 424 into law. The new regulation allows breweries to sell their high-point product by the glass at their location. “We all feel confident that if the laws didn’t change to allow us to sell strong beer at the point of sale, we wouldn’t be doing this,” Morrison said. Prairie is the third new brewery planned for downtown. Twisted Spike is working on its space on NW 10th Street. On the west side of downtown, the Sunshine Cleaners building will have a brewery as well. Murnan said this won’t be the last renovation project for the team. Lodge, who lives in Edmond, said he’s already looking at downtown Edmond property. I spoke w/ Wes today, they're really excited about this. As some may know, the founder/head brewer of Prairie officially left (was bought out) the brewery a couple months ago (rumor is it was actually last fall). Chase is now working on a new project in Tulsa (American Solera, smaller, membership brewery). That said, his is still involved in the Prairie pub in Tulsa. Prairie, is now really Krebs-based, not Tulsa-based. They know that Krebs is not the most accessible place, so they wanted something in their biggest market. The Krebs facility will still produce the vast majority of their beers, while this building will be the face for all of that. They plan on doing some small batch and one-off stuff out of this building, as well as limited bottle releases. They are truly making OKC the home of Prairie Artisan Ales. Exciting stuff. Oklahoma is about to see an absolute explosion of brewery activity. A few of them, the names I can't remember them all. The Tulsa Rugby Ale is great. I got sick as hell off of Bomb. The rest the flavor combinations just annoy the hell out of me. I like beer that tastes like beer, I don't need/want all these ridiculous flavor combinations. That said, they definitely have a following. My buddies back home in Texas beg me to round up as many cases as I can up here to bring with me when I get home, and typically before I even arrive with said cases they have them all traded for other rare beers down there. Even if I don't like the beer, this is a great get. And you really can get Prairie all over. I picked up a Birthday Bomb! for my friend's birthday at the first random place I stopped at in Denver a couple weeks ago, and the gas station/ beer store across the street carries about 6 or 7 Prairie brands (and 4 Coop brands now, but that's far less common). I bought some while in Cincy last year at The Party Source, the nation's largest liqour store. I was just curious. Try Prairie Standard if you haven't already, it's their everyday beer. I really like sour beers, and they make some of my favorite.